As president of the Student Activities Committee (SAC), Ahja Howard, a sophomore accountancy and business administration major, is responsible for planning two of the biggest and longest-running student life events at the University of Illinois Springfield each year. Planning UIS Homecoming and Springfest, a week-long competition where students face off in fun and educational games, is almost a full-time job for Howard. Howard says she wanted to become SAC president in order to have a positive impact on the entertainment brought to campus for students. Outside of SAC, Howard also spends her time mentoring elementary school students in Springfield as a volunteer for the 4-H Mentoring Program. She was also recently inducted into the National Society of Leadership and Success and is a member of the Necessary Steps program, which is designed to help first-generation college students adapt to the university environment. The Chicago native plans to obtain a job at an accounting or business firm following graduation from UIS. She eventually wants to start a non-profit organization that would help minorities in applying for college or finding jobs after high school. Howard says she’s made many new friends at UIS and feels confident in her decision to attend the school. Growing up in the Chicago suburbs, political science major Conor McKenzie had a limited view of the world before coming to the University of Illinois Springfield. McKenzie was among a group of UIS students who traveled to Cuba on a study abroad trip in January 2018. 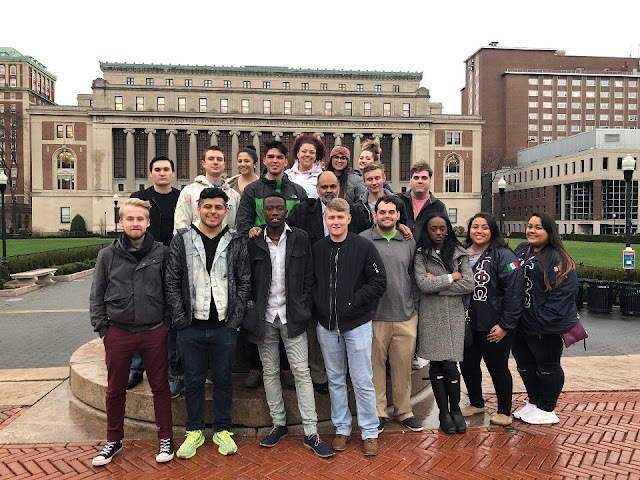 The students spent almost two weeks learning about the Cuban people and their culture, environmental issues, public health and gender and racial equality. The group spent most of their time in Havana, but also traveled to the southern part of the country. “In terms of being unique, it was really amazing because there were Cubans there who wanted to talk to us and hear a lot of about America and wanted us to go home with the knowledge that Cuba wants to talk to America and Cubans have a high value for Americans,” he said. McKenzie calls the trip a “valuable opportunity” to learn about a country that until recently has been off limits to most American tourists. “Personally, I learned from the trip a lot about another culture,” he said. 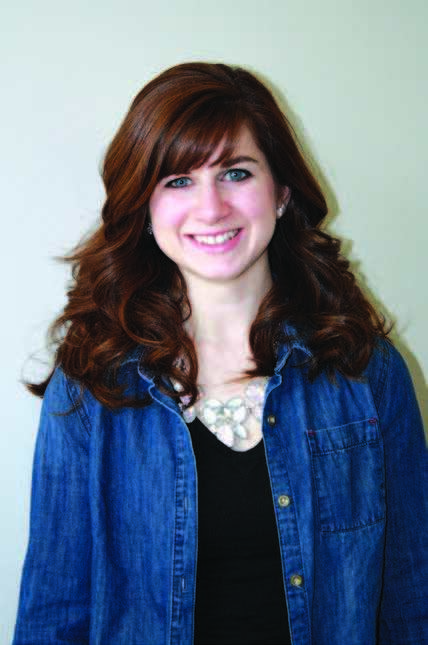 At UIS, McKenzie was recently elected the head delegate of the Model Illinois Government team. He is also a part of the Model United Nations team, which spent a week competing against hundreds of other universities during a simulation in New York City. During the Model UN simulation, UIS students represented the country of Zimbabwe, writing resolutions from the perspective of that country. For the second year in a row, the UIS team won the outstanding delegation award, the third time in UIS history. “I’d never been to New York myself, so we met people from around the country at the conference, got to speak with them, got to work with them,” he said. As a political science major, McKenzie says he chose UIS because of its “small size”, excellent professors and location in the state capital. “There are a lot of opportunities for political science people here,” he said. Following graduation, he plans to continue to further his education by earning a master’s degree in political science. He takes with him the leadership skills he’s learned at UIS. The University of Illinois Springfield, Junior League of Springfield and the United Way of Central Illinois honored more than 40 local volunteers and businesses during the 10th annual Good as Gold Ceremony. The event was held on Monday, April 23, 2018, at the UIS Student Union. The 10th Anniversary event also honored all of the past Distinguished Volunteer Award winners, in addition to honoring the founding members of the Good as Gold Committee. 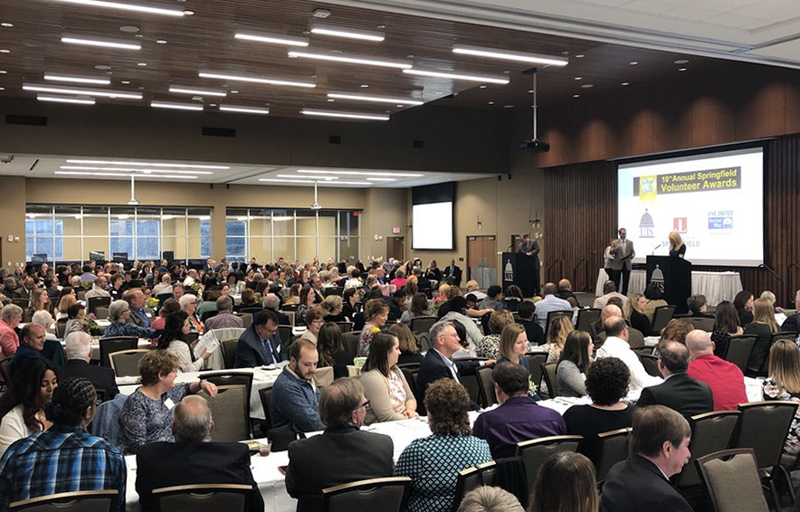 Over the past nine years, the Good as Gold Ceremony has recognized more than 400 volunteers, 35 companies, and 25 outstanding local nonprofits for freely giving their time and talents to make Sangamon County a better place to live. Susan Hack of Springfield was honored with the 2018 Distinguished Volunteer Award. Hack has greatly contributed to the mission life of Hope Presbyterian Church, and in turn, the community. As a master gardener, she helps contribute produce to the Kumler Food Pantry, while serving in other community gardens, serving at the Farmers Market, and teaching classes for the University of Illinois Extension service. One gardener team member notes, “she embodies a busy bee – without the sting!” In addition to her service in education and fellowship to the church, she helps support St. John’s Breadline, St. John’s Living Caregivers, Hope for the Holidays, Reading is Fundamental, the Springfield Bicycle Club and others too numerous to mention. The 2018 Distinguished Volunteer finalists include Terrance Jordan, Jewel Richards and Melissa Skinner-Liberman. 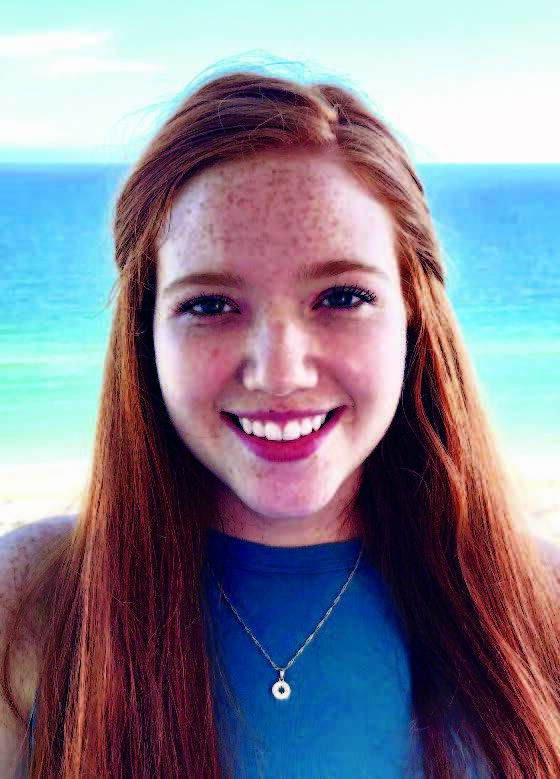 Hannah Warden of Beardstown, a senior majoring in business with a concentration in management and a minor in marketing, was honored with the Star Student Award for her volunteer efforts. The Children’s Miracle Network at St. John’s Children’s Hospital is the main beneficiary of Warden’s volunteer work and she is president of Dance Marathon at UIS, which raised $10,000 for CMN over the past year. Warden has also volunteered at the St. John’s Breadline, Habitat for Humanity, Central Illinois Foodbank and Lake Springfield Christian Assembly. Tiffani Saunders of Chatham, a Sociology/Anthropology lecturer at the University of Illinois Springfield, was honored with the Star Staff Award for her volunteer efforts with various service activities and for advising five student groups. She regularly volunteers for Ronald McDonald House, Hospital Sisters Mission Outreach and Make-A-Wish. During the holidays, she can be found at Festival of Trees, Mini O’Beirne Holiday Store and the Salvation Army. Finally, she is a practice partner for Girls on the Run and has facilitated group meetings for moms at Mercy Communities. Finalists for the award included Judy Jozaitis, vice president of the Workforce Development and Community Education at Lincoln Land Community College and Angela Try, UIS public information specialist. Springfield High School senior Elizabeth Gilmore was honored with the Youth Volunteer Award. Gilmore regularly volunteers at Compass for Kids, tutoring low-income and at-risk students. “Helping others and choosing to spend time volunteering brings me so much joy, because I know I am making a difference in the students’ lives and helping them better their academic careers,” she said. Spreading her time all over Springfield, Gilmore also helps at Camp Compass, Illinois Senior Olympics, Studio 186, Land of Lincoln Honor Flight, The Matthew Project, Springfield Art Association, Mini O’Beirne Children’s Holiday Store, Ridgely Elementary School and Sandburg Elementary School. Gilmore says she’s learned valuable life lessons such as compassion, caring for others, patience and the importance of a smile while volunteering. Other nominees for the award included Ahmaad Wallace and Benjamin Yoder. Thirty-eight local volunteers were also honored with the Heart of Gold Award. Recipients included: JoAnne Bardwell, Anne Barnett, Sarah Beuning, Carol Bingham, Stephen A. Born, Mike Buscher, Marcus Bertrand Butler, Michelle Cripe, William Drew, Paul Duplessis, David Farrell, Maureen Follis, Ken and Lynn Gilmore, Jenica Hopkins, Julie Janssen, Michael C. Jones, Chad Lucas, Dorothy McVeigh, Rita Mehlick, Virginia Mitchell, Mary Monroe White, Bill Moran, Kristin Nisbet-White, Gayle Peterson, Fallon Rowl-Johnson, Kathy Rubinkowski, Christi Sullivan, Julie Sundquist, Gay Sybert, Mary Tuttle, Jean Vehovc, Louise Vehovc, Janel Veile, Paul Wappel, Erik Welch, Sandy Wilmot and Kathryn Wright. The winner of the 2018 Organization Agent of Service Award is Crime Stoppers of Sangamon and Menard Counties. Over the past 35 years, members have gathered information that has led to the arrests of hundreds of criminals, recovered hundreds of thousands of dollars in stolen property, drugs, guns and other contraband and have closed hundreds of police cases on crimes. “We provide financial incentive for people to come forward anonymously in order to help the police catch criminals,” said Ernie Slottag, president of the board of Crime Stoppers and a member for 16 years. Crime Stoppers tips have resulted in arrests that may not have otherwise been made. Through fundraisers in the community, Crime Stoppers has created a fund from which anonymous tipsters are paid. The Crime Stoppers board consists of 30 individuals from Sangamon and Menard counties who work to raise funds and promote the program. A total of 21 Sangamon County businesses were named to the Business Honor Roll sponsored by the UIS College of Business and Management and supported by The Greater Springfield Chamber of Commerce. The honor roll recognizes businesses that have made giving back to our community a priority. Three businesses were listed at the top of the honor roll as Golden Distinction Winners including Gem PR & Media, President Abraham Lincoln Springfield DoubleTree Hotel and Horace Mann. Other businesses making this year’s honor roll include AlignLife of Springfield; Ameren Illinois; BUNN; Bank of Springfield; Brandt Consolidated, Inc.; Engrained Brewery & Restaurant; Illinois REALTORS; Koch, Sylvia and Associates - Ameriprise Financial; Marine Bank; Mayfield Insurance and Financial Services, Inc.; Memorial Health System; Noodles World Kitchen; RSM US LLP; SCHEELS; Sangamon Reclaimed; Springfield Junior Blues; U.S. Bank and United Community Bank. For more information about the awards, please visit www.uis.edu/volunteer, email volunteer@uis.edu or call 217/ 206-8448. 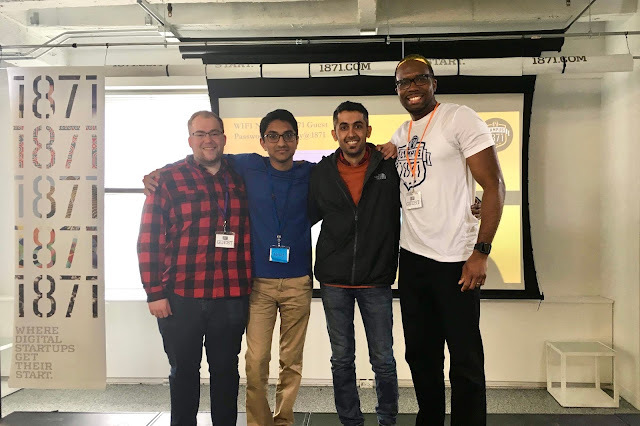 A group of four University of Illinois Springfield students took part in the fifth annual Campus 1871 event, a weekend-long initiative that simulates the realities of launching and running a startup company, in Chicago April 13-15, 2018. The event, which is held once a year, includes hands-on training, workshops, mentorship and coaching, and culminates in a pitch competition – where participants can win a temporary membership at 1871. UIS computer science graduate students Kazim Abbot of Dennery, St. Lucia; Agney Patel of Ahmedabad, India; Behrooz Moradi of Mashhad, Iran; and Derek Coppinger of Virden, Illinois spent the weekend in Chicago attending workshops, panel discussions and engaging with established entrepreneurs while working on a realistic business model that would be pitched to a panel of judges. The winning team featured UIS student Kazim Abbot whose team created BRIDGE, a platform that that helps immigrants and refugees with STEM backgrounds find jobs in the United States. The third-place team featured UIS students Agney Patel and Behrooz Moradoni who worked on an application called “Better Bet”, a platform that helps you make and track fun bets and wagers with friends. The event brought students from more than 100 Chicago-area universities together to collaborate and share ideas. For more information, contact Blake Wood, UIS assistant director of public relations, at 217/206-6716 or bwood8@uis.edu. 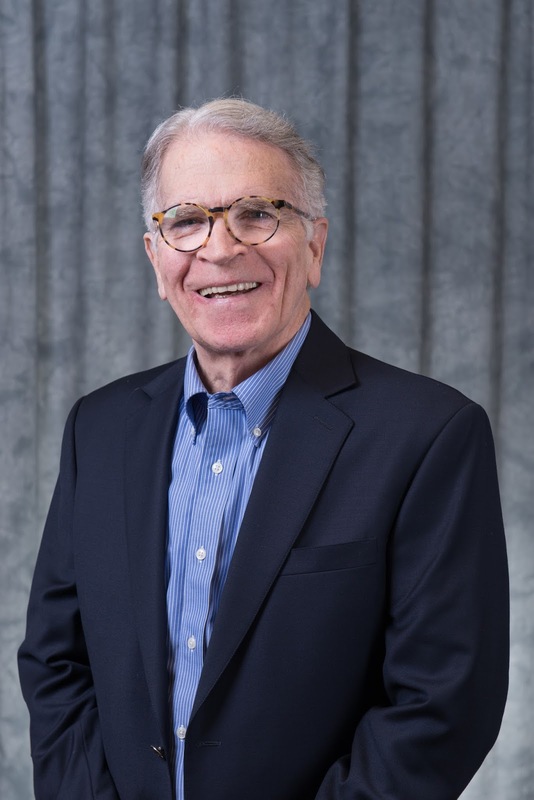 The University of Illinois Foundation today announces long-time Springfield resident David Farrell as the recipient of the 2018 William E. Winter Award for Outstanding Advocate Leadership. The award will be presented at the UIS Celebration of Philanthropy on Wednesday, April 25 at UIS. The U of I Foundation is the fundraising arm of the University of Illinois. Farrell’s career in state government was capped by 20 years as Director of Public Affairs for the Illinois Commerce Commission. During his career and since retirement in 2002, he has been a tireless advocate for NPR Illinois/WUIS, frequently taking part in on-air fundraising. His deep voice adds sincerity and gravitas to every appeal he makes. He has also contributed to NPR Illinois as a member of the Citizen Advisory Board and was instrumental in helping to start the station’s Health and Harvest Desk. Springfield can also thank him for “Fresh Air”, a popular program which years ago he helped to bring to the station. Farrell, who has a deep interest in fairness, also contributes his marketing and communications expertise to the UIS Illinois Innocence Project (IIP), and has served as emcee at the annual Defenders of the Innocent Reception. He and his wife Laurie, who shares in Farrell’s advocacy, have also initiated, underwritten and helped plan IIP events. Farrell’s advocacy at UIS also includes Central Illinois Nonprofit Resource Center, the Theatre program and the UIS Cares Food Pantry. Past UIS recipients of the William E. Winter Award include Paul O’Shea, W. Robert Felker, Pamela McClelland, Cullom Davis, Bob Clary, Leonard Branson, Thom Serafin, Tom Marantz, Julie Kellner, Guerry Suggs and Michelle Suggs (deceased); Howard Humphrey (deceased), James Lundquist (deceased), and Clifford Greenwalt. 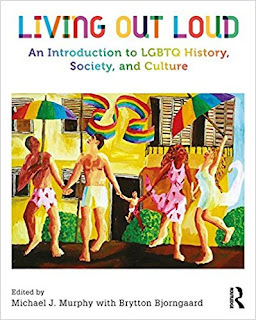 University of Illinois Springfield faculty members Michael Murphy, associate professor of gender and sexuality, and Brytton Bjorngaard, assistant professor of digital media, have published a new textbook entitled “Living Out Loud: An Introduction to LGBTQ History, Society, and Culture”. Murphy severed as the overall editor for the book, authoring two chapters, while Brytton produced all original figures and illustrations, and oversaw the image permissions process. 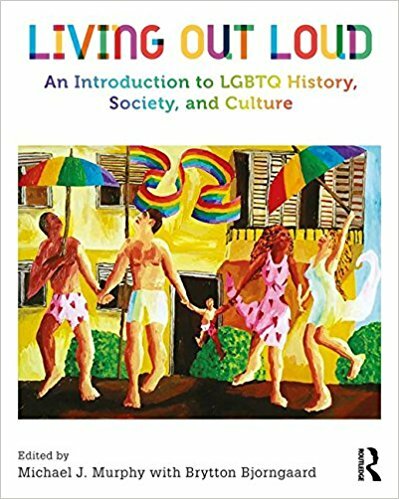 According to the book’s publisher, “Living Out Loud” is the first narrative textbook designed to support college-level “Introduction to LGBTQ Studies” (and similar) courses. Students enrolled in such courses are typically sophomores and juniors, with a range of motivations, interest levels, educational preparation, and academic majors. They may identify (or be on the way to identifying) as lesbian, gay, bisexual, transgender, queer/questioning, intersex or other types of gender and sexual minorities (LGBTQ+). Or they may have LGBTQ+ friends or family members who they wish to better support through learning more about their lives, experiences, issues, and accomplishments. “The goal of ‘Living Out Loud’ is to introduce students to the exciting field of LGBTQ Studies and provide a broad, multidisciplinary foundation for subsequent, more-advanced academic work,” said Murphy. Unlike many text readers or collections of conference papers in this subject area, which can employ advanced concepts and vocabularies, “Living Out Loud” offers an accessible, student-friendly text with content, tone, language, and design that is appropriate for lower- and mid-level college and university students. It introduces students to foundational topics, concepts, terms, and debates in the rapidly expanding field of interdisciplinary LGBTQ+ Studies. The book is divided into nine chapters, each focused on a discrete disciplinary or interdisciplinary area of academic study. Care has been taken to include entire chapters or chapter sections from the humanities, sciences, and social sciences. The book is unique in its inclusion of chapters on LGBTQ+ Sexual Behavior & Sexual Health; Literature & Visual Arts; Education; Relationships; and, Globalization. Chapter authors have been mindful to address LGBTQ+ racial and ethnic diversity, and better integrate bisexual and transgender people, topics, experiences, and themes. Murphy has been a faculty member at UIS since 2009. He holds a master’s degree and doctorate in art history and archaeology (with a graduate certificate in women, gender, and sexuality studies) from Washington University in St. Louis. Bjorngaard has been a faculty member at UIS since 2013. She holds a bachelor’s degree in graphic design from Saint Mary’s University of Minnesota and a master of fine arts degree in graphic design from Iowa State University. The textbook was published by Routledge and is available for purchase on the publisher’s website at www.routledge.com and from other popular stores and websites including Amazon.com and Barnes & Noble. Reviewer copies may also be ordered on the publisher’s website. For more information about the book, contact Murphy at 217/206-8510 or mmurp4@uis.edu or Bjorngaard at 217/206-7547 or bbjor2@uis.edu. Hannah Warden has a passion for helping children who are fighting illnesses at HSHS St. John’s Hospital in Springfield. The senior University of Illinois Springfield business administration major recently helped to organize a Dance Marathon fundraiser on campus that raised more than $9,000 for the Children’s Miracle Network. Before the Dance Marathon, students spent a year raising funds and awareness for the children’s hospital. The Dance Marathon event was the culmination of that efforts where students got a chance to meet patients and families treated at St. John’s. Outside her role as director of the UIS Dance Marathon, Warden is also involved on campus as a summer orientation leader for the UIS Office of New Student Orientation and Parent Relations. For the past two summers she’s helped to welcome incoming students to campus. Warden is also a facilitator for the UIS Campus Recreation Challenge Course where she brings teams of students in and teaches them leadership skills through different physical activities. 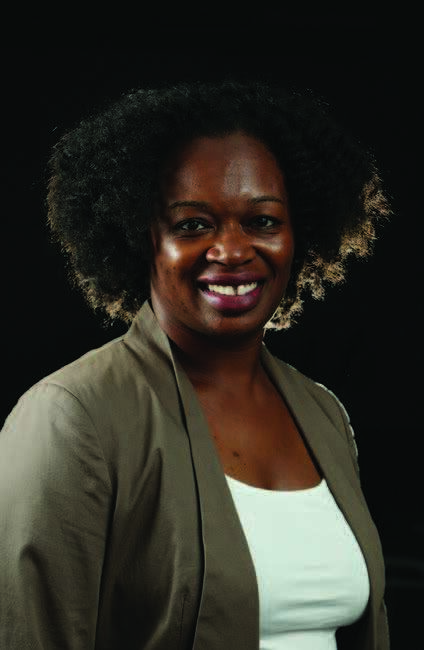 Warden transferred to UIS from a private university at the beginning of her sophomore year. She feels that she made the right decision in coming to UIS. “My brother came here and he really loved it here. He had tons of friends and enjoyed his four years, so I thought it would be an awesome school. Once I came here, I absolutely loved it,” she said. Following graduation from UIS, Warden plans to start a career the healthcare field. She leaves UIS knowing she’s grown as a leader and a person. Before transferring to the University of Illinois Springfield, Molly Looby says she felt “lost” and “very small”. However, she’s now found her voice as a student worker for the UIS Women’s Center and president of the UIS College Democrats. Looby, a communication and political science double major, recently helped to plan Chancellor’s Women’s Leadership Luncheon, which featured five accomplished women from the Springfield community who spoke about their success. As the president of UIS College Democrats, she often helps bring candidates to campus who are running for political office, so they have an opportunity to speak with students. “I think it’s really important because they need to hear from students, they need to realize that students have a voice and we have things to say and we have something that we want from them and they need to listen,” she said. Looby says she feels she made the right decision in choosing UIS and feels fortunate for all of the opportunities she’s had on campus. Looby, who grew up in Springfield, says she “loves it here” at UIS. She enjoys the community, the diverse people and the diverse opinions on campus. Following graduation from UIS, Looby plans to work as an organizer for a labor union. James Koeppe, director of campus recreation at the University of Illinois Springfield, is the winner of the 15th annual Chancellor’s Academic Professional Excellence (CAPE) Award. The award was presented by Chancellor Susan J. Koch on April 12, 2018. Koeppe was instrumental in starting the new UIS Rising Stars Program for new university employees. Thanks to his leadership, the inaugural group of 15 new employees, from 11 different campus departments, had the opportunity to learn more about the history of UIS, tour campus housing, engage in professional development and community service, attend UIS sporting events and visit with leaders from the City of Springfield. Koeppe was instrumental in all aspects of staring the program, including coming up with the vision, seeking support from university administrators and finding funding. 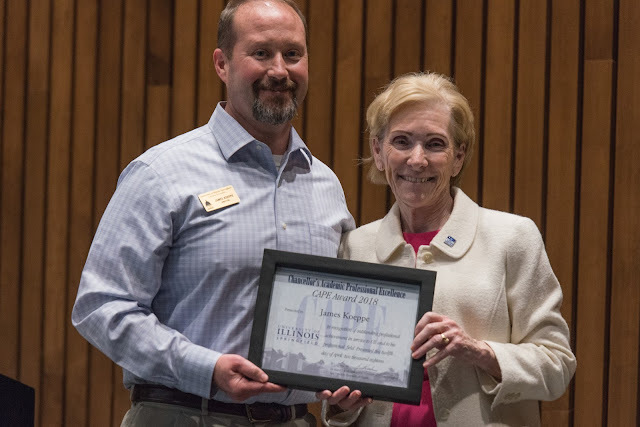 “Personally knowing the efforts it took James to get this initiative off the ground, reflects James’ contribution, not only to his unit and his own development, but his great contribution to UIS as a whole,” said a nominator. Koeppe has also been responsible for significant innovation within the Department of Campus Recreation. He created Rec-a-Palooza, a day-long event that showcased Campus Recreation. The day ended with a street party featuring food trucks, a band and recreation events, which attracted 650 students, making it the largest single student event in recent UIS history. He has also led renovations to Rec Park, which include the addition of new field lighting, an improved sand volleyball court and a new miniature golf course, in addition to working to improve professional development for student employees. He is involved in the National Intramural and Recreational Sports Association and the Illinois Campus Recreation Conference. On campus, Koeppe also serves as the advisor for the Phi Kappa Tau fraternity, the largest fraternity on campus with importance placed on community service. He served as acting UIS dean of students from August 2015-February 2016. Off campus, he has volunteered with the American Lung Association Fight for Air Climb, served as the chair for the Cubs Scouts Pinewood Derby and is a founding board member for 100+ Who Care in Springfield, which raised $7,000 for Compass for Kids in one evening. The CAPE Award recognizes U of I academic professionals for their efforts in three general categories: work projects, professional development and affiliations, and contributions to their units. The winner receives $500 in cash for personal use. All academic professionals are eligible to receive the CAPE Award; nominations are reviewed by campus committees and candidates’ names are forwarded to the chancellor, who makes the final selections. Others nominated for the 2018 CAPE Award include Raymond Barnett, Sean Crawford, Valerie Gebhardt, Karen Guthrie, Kathryn Kleeman, Kara McElwrath, Lisa McGuire, Mae Noll, Joy Thibadeau, Melanie Trimm and Tom Wood. A group of University of Illinois Springfield students won the outstanding delegation award during the international Model United Nations simulation held March 26-30, 2018, in New York City. This is the second year in a row that UIS students have won the award. Model United Nations is a conference that simulates an actual United Nations meeting. The UIS delegation consisted of 18 students and one faculty member. Hundreds of international colleges and universities competed during the event. Three UIS students were also honored with individual awards. Munashe Ariwamwari of Naperville won the best delegate award for his committee, while Rosie Dawoud of Bolingbrook and Heba Qazi of Bartlett won the best position paper award for the paper they wrote together. This is the first time in UIS history that students received awards in all three categories. Students worked for close to two semesters learning about their assigned country, drafting resolutions, working on diplomacy and consensus building, and writing position papers on specific issues. This year, UIS represented the country of Zimbabwe, which is located in Africa. Other UIS students who participated in this year’s simulation include Head Delegate Erik Motyll of New Lenox, Brandon Kuhl of Springfield, Beto Flores of Waukegan, Halie Edwards of Joliet, Chloe Compton of Troy, Edwin Robles of Cicero, Maame Aggrey of Elgin, Gavin Hunt of Peoria, Crystal Terrazas of Berwyn, Briana Rodriguez of Hoffman Estates, Brandon Klages of Algonquin, Luke D'Elia of Springfield, Paul Cunningham of Homer, Conor McKenzie of Lindenhurst and Payton Raso of Iowa City, Iowa. UIS students were advised by Ali Nizamuddin, UIS associate professor of political science, who accompanied students on the trip. For more information on the Model United Nations awards, contact Nizamuddin at 217/206-8424 or aniza2@uis.edu. 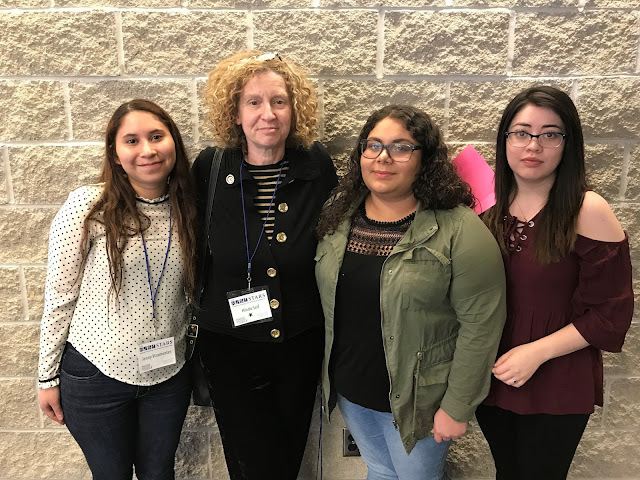 UIS Associate Professor Hinda Seif with students presenting at the Student Technology, Arts & Research Symposium on April 5, 2018. Hinda Seif, University of Illinois Springfield associate professor and chair of the Department of Women and Gender Studies, was recently selected for a National Endowment for the Humanities (NEH) Summer Seminar on “Art & Public Culture in Chicago”. The session will be held June 11-29, 2018, at the Newberry Library in Chicago. Seif was selected from more than 100 applicants and will spend three weeks learning about the arts, their reception, and their civic importance in Chicago from the 1893 World’s Fair through the present moment. "This institute is related to my current research on women artists, spaces and self-expression in Mexican Chicago,” said Seif. “Given that we have many students at UIS who are from or are interested in Chicago, I plan to bring what I learn back to UIS and central Illinois to enhance my teaching and research." According to the seminar description, the course will be particularly focused on artistic communities, small-scale venues, and vernacular expressions that developed against or alongside Chicago’s mainstream cultural institutions—especially those that took shape in the city’s African American neighborhoods. The summer seminar will be led by Liesl Olson, director of Chicago Studies at the Newberry Library; Rebecca Zorach, professor of art history at Northwestern University; and Chad Heap, associate professor of American studies at George Washington University. Last summer, Seif was selected to participate in an NEH Summer Seminar exploring 20th century U.S. history through the lens of the National Women’s Conference, which was held in Houston in 1977. Seif holds a master’s degree in women’s studies from the University of Arizona and a Ph.D. in cultural anthropology from the University of California, Davis. 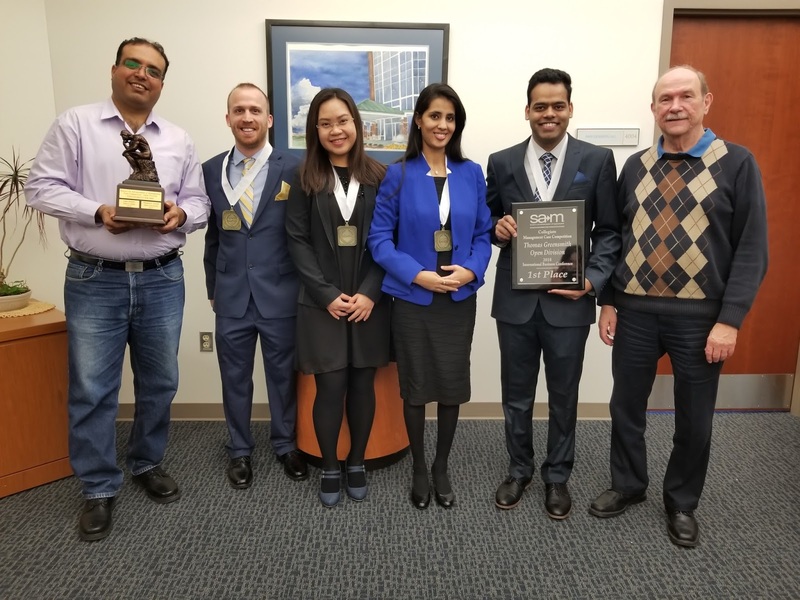 A group of four University of Illinois Springfield students, who are members of the Society for Advancement of Management (SAM) student chapter at UIS, finished in first place at the Thomas Greensmith Open Division Collegiate Management Case Competition held on March 23, 2018, in Arlington, Virginia. During the national competition, UIS students competed against 22 other colleges and universities. UIS students presented solutions related to a business case involving Ryder, a fortune 500 company. Students analyzed some specific problems Ryder is currently facing (more specifically “low wages” and “demand for more drivers”) and presented short and long-term recommendations to solve these problems for the company. UIS students Prashant Bidhuri, a graduate Management Information Systems (MIS) major from New Delhi, India; Apoorva Kanthwal a graduate MIS major from Shimla, Himachal Pradesh, India; Michael Kirchgesner, an undergraduate business administration major from Springfield, Illinois; and Adella Nguyen, a graduate MBA student from Ho Chi Minh, Vietnam made up the team. The team was advised by Sundeep Sharma, Ph.D., UIS assistant professor of management. For more information on the Society for Advancement of Management student competitions, contact Assistant Professor Sudeep Sharma at 217/206-8275 or sshar5@uis.edu. University of Illinois Springfield junior liberal studies major Madison Reuss has a passion for volunteering. She recently went on a week-long Alternative Spring Break trip to Texas where she and 20 other students helped clean up the damage left by Hurricane Harvey. The group helped homeowners pack up their houses, spread sand, tore down a shed and sorted supplies at the Salvation Army. Reuss says her favorite part of the trip was hearing from homeowners and knowing they were making a difference. The group traveled to Beaumont, Texas where they partnered with Community Collaborations International (CCI). Reuss and the other students on the trip stayed at a church in Beaumont while they volunteer. “Because of the trip, I’ve been able to make connections and friendships with people that I never thought I’d make friendships with,” she said. At UIS, Reuss is the volunteer chair and a member of the Legion of Ladies and works at the Volunteer and Civic Engagement Center where she helps to coordinate a weekly volunteer effort with Lee Elementary School in Springfield. She also works as a music assistant for the UIS Music Department. Off campus, Reuss is the president of the Springfield Celts Women’s Rugby team. She discovered the community team at the UIS Involvement Expo and decided to give it a try. She’d never played rugby before joining, but has come to love the sport. Following graduation from UIS, the Nashville, Illinois native, would like to become a secondary education teacher teaching 9 through 12 grade students. The Alpha Alpha Gamma chapter of Kappa Delta Pi, the International Honor Society in Education, at the University of Illinois Springfield inducted eight new members during a ceremony on March 25, 2018. Dustin Day, superintendent and high school principal of Waverly Community Unit School District #6, was the guest speaker at the event. The Society inducts individuals who have exhibited the ideals of scholarship, integrity in service, and commitment to excellence in teaching and its allied professions. Selection as a member of Kappa Delta Pi is based on high academic achievement, a commitment to education as a career, and a professional attitude that assures steady growth in the profession. Students inducted at this year’s ceremony include: Joshua Atwood, Taylor Bauer, Lauren Capranica, Brianna Graham, Naylin Ronchetto, Jennifer Ruggless, Ashley Trader and Cassidy Yates. Kappa Delta Pi was established in 1911 to recognize and promote excellence in education. Through its programs, services, and strategic partnerships, the honor society supports the professional growth and teaching practices of educators throughout all phases and levels of their careers. The organization currently has more than 600 chapters and an active membership of nearly 40,000 worldwide. For more information, contact Ronda Mitchell, chapter advisor and UIS assistant professor of Teacher Education, at 217/206-7008 or rmitche@uis.edu.